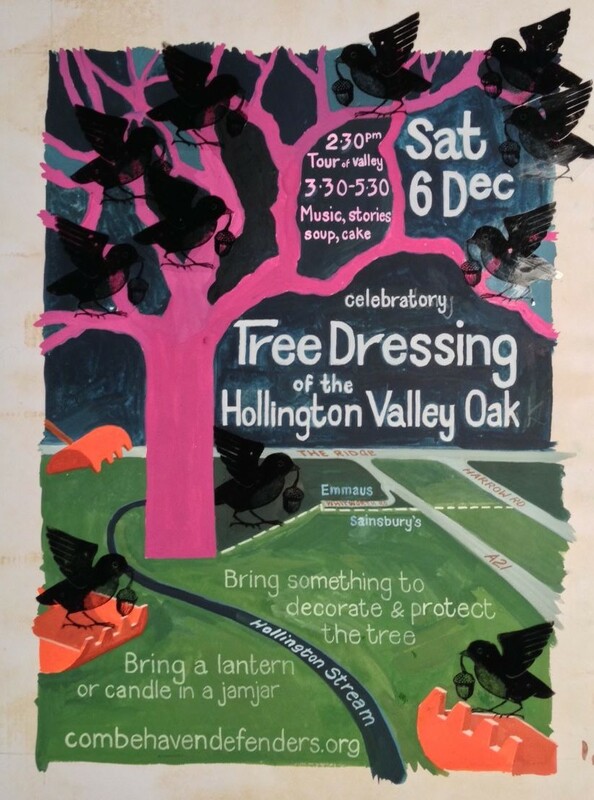 Hollington Valley treedressing, Saturday 6 December: join us! Join us on Saturday 6 December for a treedressing event in Hollington Valley. Tree decoration, songs, stories, hot soup, cake and old friends. What better way to spend an afternoon? Treedressing is an ancient custom celebrating the magical and life-giving properties of trees. It has been part of different cultures all over the world, with people gathering to decorate, bless and give thanks to their trees. In Britain, the practice of treedressing was revived in 1990 by the charity Common Ground, and the first weekend in December designated as National Treedressing Day(s). 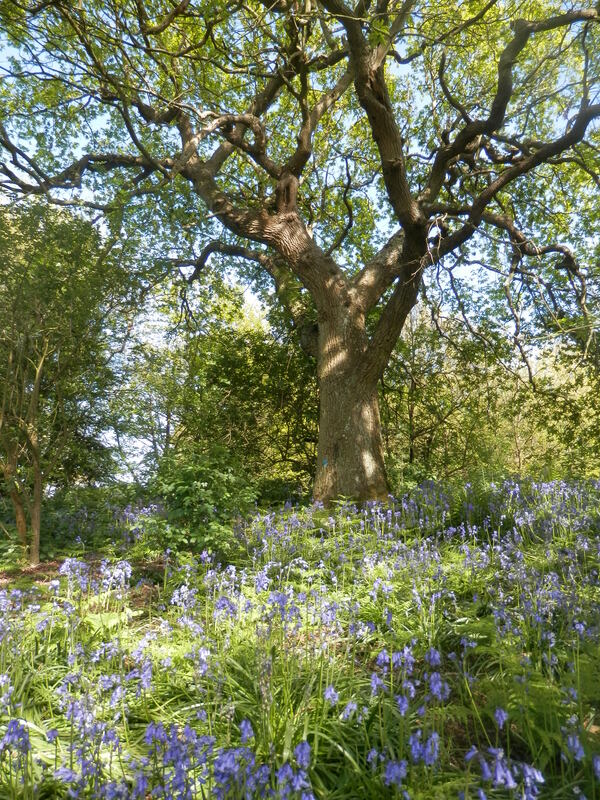 In our part of East Sussex, more and more trees are under threat from development. Hundreds were cut down to make way for the link road, more have been felled for business parks, and now the trees of Hollington Valley Site of Nature Conservation Importance are threatened by the Queensway Gateway Road. Join us to celebrate our trees, and to pledge to protect them. When: Saturday 6 December. Tour of proposed road route 2.30pm, treedressing 3.30- 5.30pm. How to get there: The entrance to the site is a footpath at the end of Whitworth Road, just north of Sainsbury’s (map). The tree, a wonderful old oak, is very close to the start of the footpath. What to bring: It could be very wet and muddy so wellies or boots essential. Bring a torch, candles in jars, anything you want to use to decorate the tree. A hot drink – we’re aiming to provide some but extra is always good.